Not many people know what it takes to be a real football superstar as well as Lionel Messi does. It all starts with the right football shoe, that’s crafted to bring out the best in you. 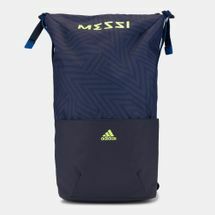 Designed to let Lionel Messi’s unique style and footwork shine, the adidas Messi Shoes provide the game changing support that he has come to depend on. Delivering accurate ball control, blazing speed and agility, the Messi boots let the superstar tear past the defense. With the newest technology in the field of sports, Messi’s new shoes heighten his speed, skills and style. 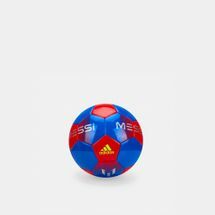 Experience support that lets you unleash greatness by checking out the latest range of adidas Messi football shoes online at Sun & Sand Sports and have your order delivered to your doorstep in Kuwait City and the rest of Kuwait. Lionel Messi, more popularly known as Leo Messi, is an Argentine professional footballer who also plays for the Spanish giants, FC Barcelona as a forward and their main man. Messi’s presence in the squad is so important, that just his presence elevates his team-mates to his level of play as he takes his team through tough games onto victory. 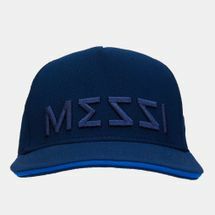 Winner of umpteen trophies and holder of a plethora of records, Leo Messi is the player everyone aspires to be and with the adidas Messi shoes, you too can fulfil those wishes and aspirations. Leo Messi is the only footballer to have won a total of five Ballons d’Or, where he won four consecutively. Besides this, he’s also been the winner of the European Golden Shoe for a total of three times and also holds records for most goals scored in La Liga, most goals scored in a single season of La Liga, most goals scored in a football season as well as a record for most assists made in Copa America as well as La Liga. Besides personal achievements, he’s also led his club to four UEFA Champions League titles, four Copas del Rey and eight La Liga titles. Now you understand why adidas wanted a player as prolific and influential as Lionel Messi to create a series of shoes dedicated to. 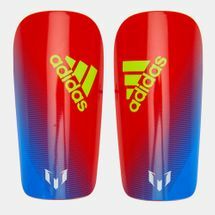 Get yourself a pair or more from the collection of adidas Messi shoes for men and women with Sun & Sand Sports’ online store. 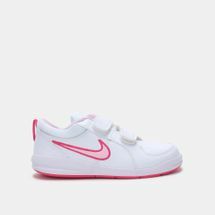 Have them delivered to your doorstep in Kuwait City or anywhere else in Kuwait.